Model for demonstrating the differences in old and recent models for the liability to autism. The California autism study has found a higher concordance rate in fraternal twins and more of the liability must be attributed to shared environmental factors than previously expected. 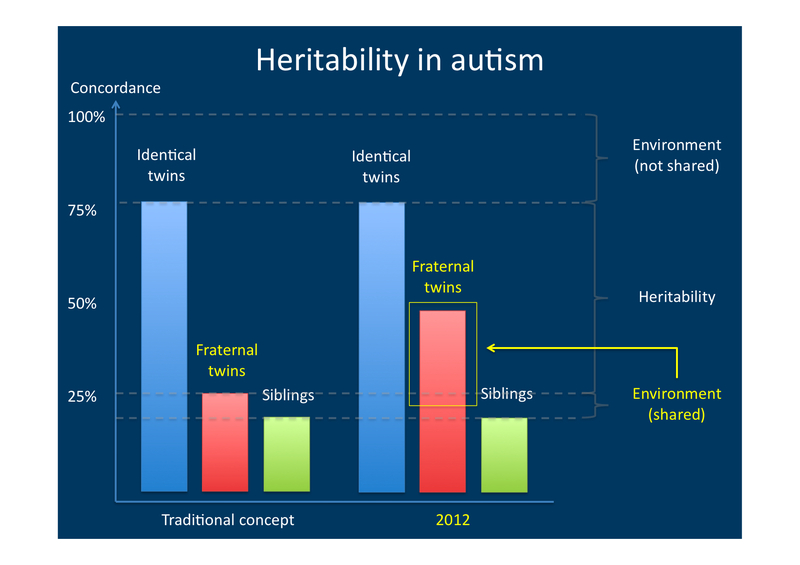 The heritability measures are not to scale.